This is a limited edition custom TR-3 automatic knife features a rain drop Nichols stainless Damascus blade with a plain edge. 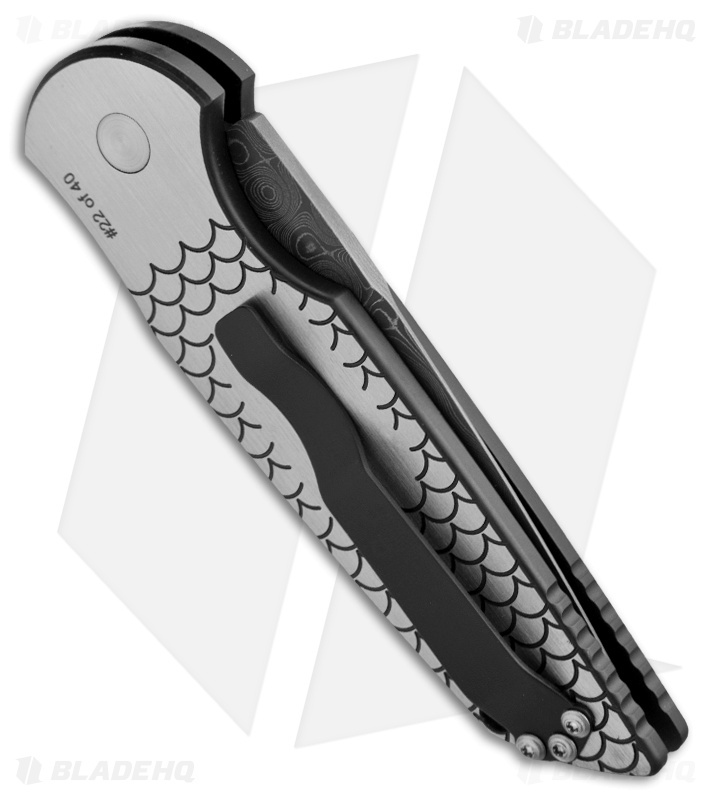 The 416 stainless steel frame handle features a "Fish Scale" milled pattern with a two-tone DLC black and satin finish. 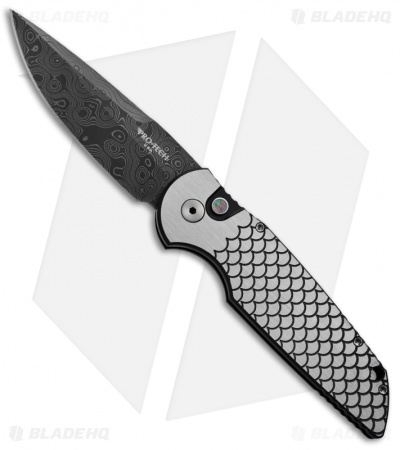 Protech pays attention to detail with a black Lip Pearl push putton. This knife, like all Protech knives, fires hard and feels great in hand. These knives are serial numbered on the handle, only 40 made!